Small states should not become a laboratory for adventurous businesses and politicians. 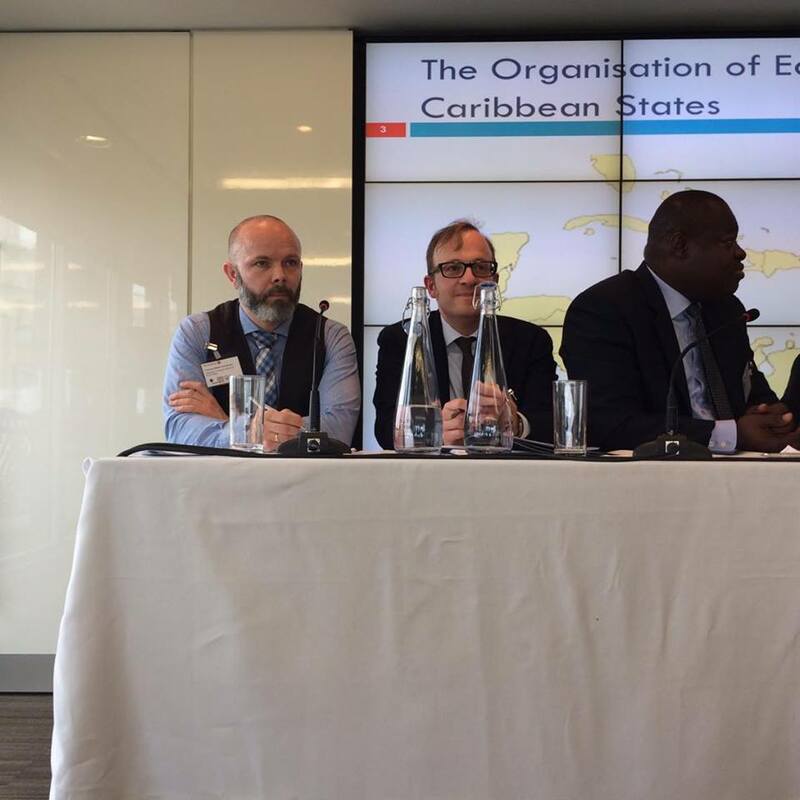 'Integration and Dispute Resolution in Small States' - I had the honour to be the only political scientist at this high quality law conference on small states in London. I spoke about inbuilt structural weakness of small economies and what small states can do to compensate for these weaknesses. I also talked about Iceland's failure to establish itself as a financial centre! This experiment led to the 2008 crash. Dr Petra Butler, Centre for Small States, Queen Mary University of London; Dr Eva Lein, British Institute of International and Comparative Law; Rhonson Salim, Open University.